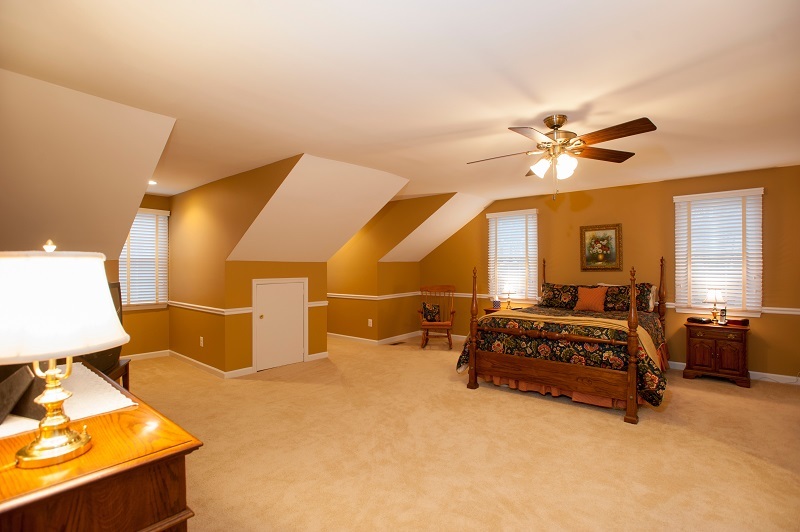 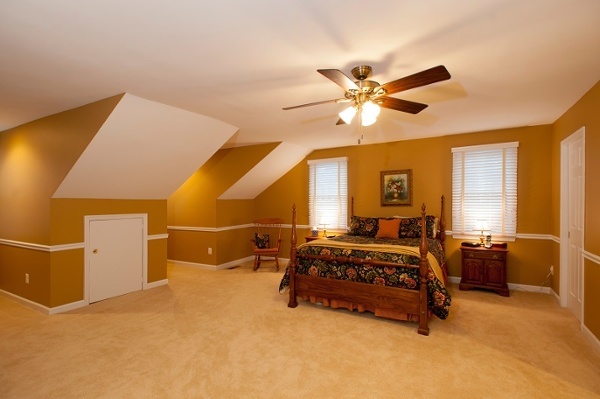 This master bedroom and bathroom renovation was completed for a Reston, Virginia homeowner. It was completely remodeled with new paint, new wall trim, and fresh carpet. 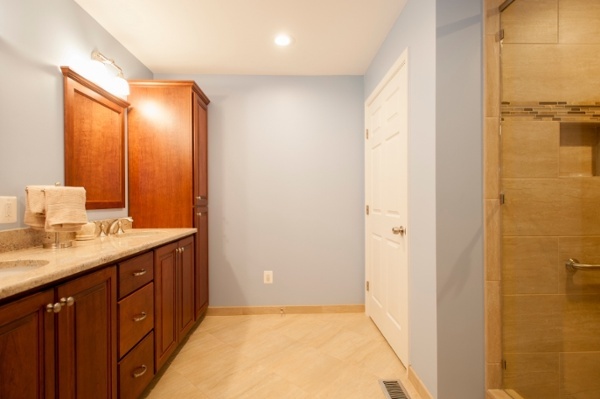 To add to the space of the new walk-in closet and bathroom, the walls separating them from the bedroom were pushed out two feet. 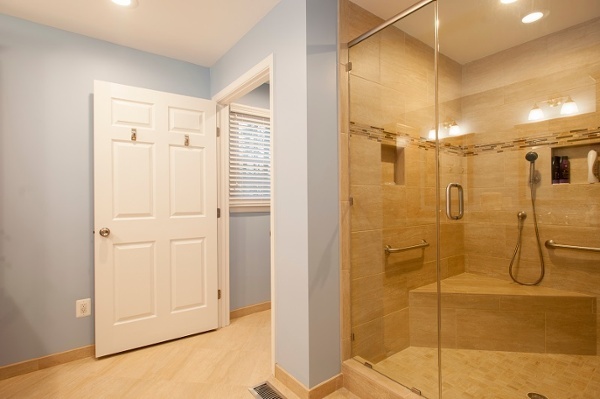 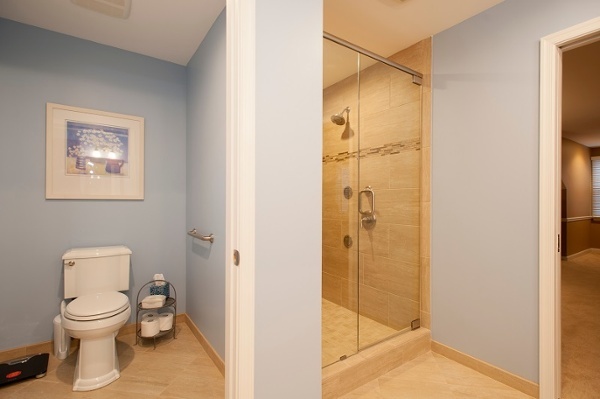 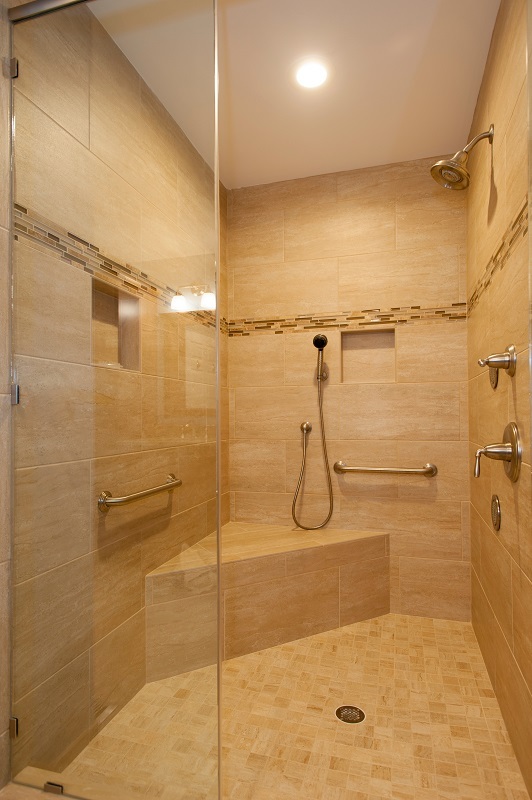 With more space, a large shower sporting a Design Builders, Inc. original design was incorporated into the redesigned, lavender-painted bathroom.